Tenderfoot is your new mid-week queer paradise. Each month we invite an established London DJ or collective (local legends, if you will) to hold a weekly residency. They will then bring a different guest for each week of their month; someone they have been teaching how to DJ, an emerging artist who’s work they enjoy, a tenderfoot. This month’s resident is the fabulous DJ and promoter extraordinaire Rachael. She has been a superstore stalwart for many years, playing italo, disco, house, funk and much much more. Her party il telefono places a huge emphasis on booking women and non-binary DJs, as well as providing a platform for emerging artists, so she was a natural choice for the first ever month of Tenderfoot. 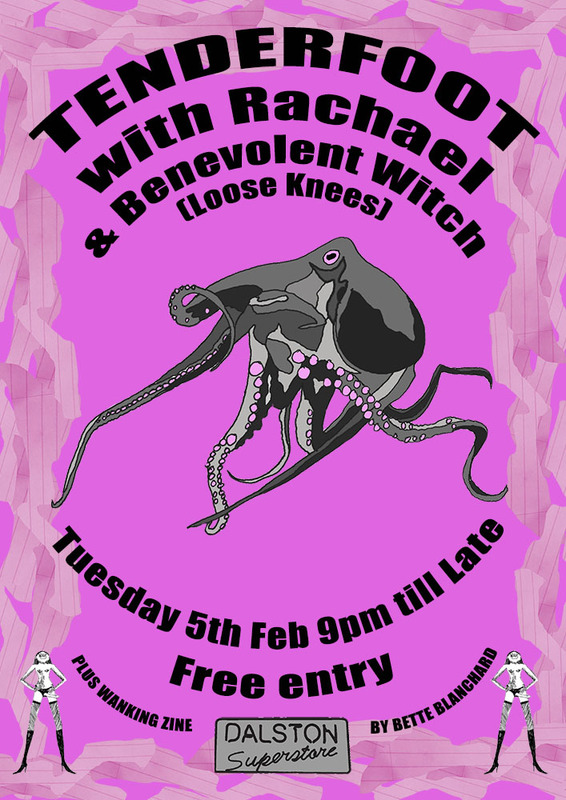 This Tuesday’s guest is Benevolent Witch, of Loose Knees. Aside from being a stellar DJ, Benevolent Witch makes zines, and will be relaunching their wanking zine tonight, copies of which will be available to buy. Free entry all night long baby!